Cars are essential in the modern world. They offer the best means to move from place to place in an easy and convenient manner. Being a car owner is therefore desirable if you happen to travel frequently. While cars offer convenience, they can also be a source of inconvenience if they are not cared for properly. Cars are machines that are prone to wear and tear. 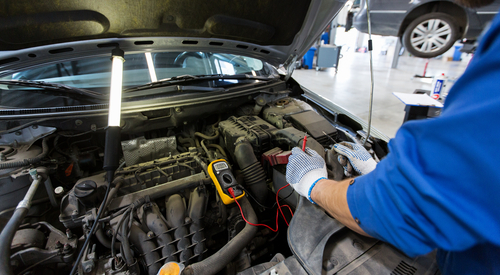 Just like all other machines, cars need maintenance in order to give a reliable service. Thankfully, car servicing is not hard to get in Singapore. You can be able to get affordable and effective services from a number of reliable sources. If you are a car owner or you intend to own a car, you definitely need to understand the benefits of car servicing. Here are a few advantages of servicing your car regularly. One of the best things about a new car is the comfort levels that come with it. Driving a brand new vehicle is both enjoyable and fun. As the car gets older, however, the good experience starts declining. Without proper maintenance, the driving experience can go from bearable to totally intolerable. An uncomfortable car is a nuisance and is also troublesome on the road. Whether it is the noises of worn out parts or the uncomfortable interiors, nobody enjoys having a difficult car. With timely servicing, comfort levels can be maintained for a very long time. Timely maintenance is thus crucial as it not only affects the comfort within the car but also the driving experience. The value of a car is determined by several factors. One of the factors is the face value which includes the physical appearance of the vehicle. Other factors that determine value include the condition of the car, the driving experience and the age of the parts. A valuable car is desirable because it is also a store of wealth. In case you ever want to sell the car, the resale value will be higher if the car has been maintained properly. Keeping a regular servicing schedule is thus important if you want to maintain the value of the car. Among the key things that you should be concerned about as a car owner is its efficiency. The efficiency is determined by fuel consumption and performance. As the car gets older, fuel efficiency tends to decrease. This is also the same for performance where older cars perform less compared to newer cars. Car servicing is critical when you want to reach peak performance levels for a long duration. Getting your car serviced regularly enables you to prevent future problems which might affect its performance. Fuel efficiency is also preserved for a longer period with regular maintenance. A car which is serviced regularly is less likely to get into faults. This means that accidents are also prevented by a huge margin. Taking the car for service is the only way to fix any issues that might get you into harm’s way. Just like other machines, cars can be a cause of risk for human lives. Cars have a lot of dangerous fuels and machine parts operating under the hood. These parts need to be in proper condition at all times. It is thus wise to service the car often in order to minimize the risks associated with the machine. Car servicing is a critical aspect of maintenance that helps you save huge costs in the long run. While most people assume that it is costly to service the car regularly, this is not the case. Some of the costs spent to do regular servicing routines are quite small compared to the amount you would pay if the car broke down. Most times, cars tend to get small issues which can be fixed in a cheap way before they wreck the whole system. If some of these problems are not fixed, they might cost huge sums when they lead to bigger problems. Erratic car parts often tend to affect healthy car parts when they are not fixed. You should thus get the car checked often in order to avoid costly repairs. Most people buy a car which they are specifically attracted to. Cars are not just meant to move you from place to place, they are also status symbols that reveal the character of the owner. Cars are cherished and adored by their owners. It is thus the hope of most car owners to see their beloved machine live a long life. The best way to increase the lifespan of any vehicle is by getting it serviced on a regular basis. Doing this helps you enjoy the advantages of owning a car you love for a longer time. In addition to long life, cars also need to be reliable. Whether you use your car for work or other purposes, it is important that the car makes it convenient for you to travel anytime you want to. Knowing that you can depend on your car anytime you want can give you a peace of mind. 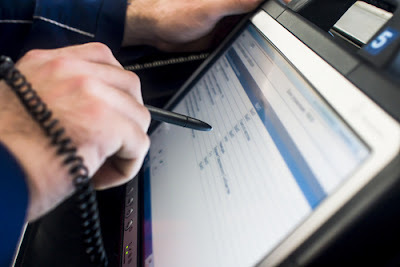 Car servicing is the only way of increasing the reliability of any vehicle. Taking your car for regular maintenance thus gives you confidence that you can depend on your car for all sorts of errands. In conclusion, there are many other advantages you can get from servicing your car on a regular basis. Most of the advantages listed above are some of the most important ones. These benefits affect you directly and are critical. There are indeed other advantages that pertain to the general welfare of those around you. Servicing your car for instance also puts other road users out of risk. Servicing is also beneficial to the environment as a whole as well-maintained cars reduce pollution on the road. 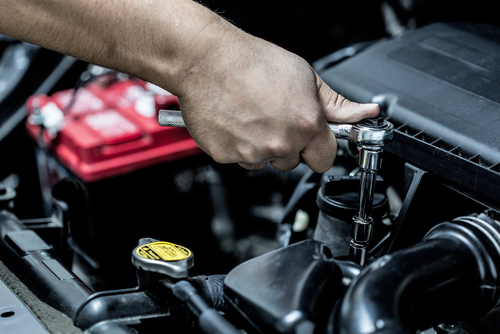 If you are a car owner, do not hesitate to include a regular car servicing in your schedule.